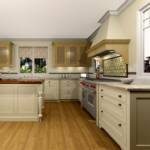 The above is not a picture of an actual kitchen. 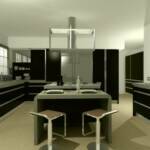 It is a rendering of a kitchen built using our design software. 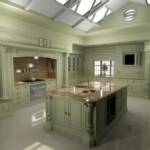 With this software, we can show our clients exactly what their finished kitchen will look like. 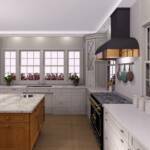 Because we work with custom home builders, interior designers and homeowners, it is important that everyone is on the same page. 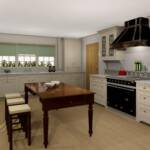 With stunning high definition, 3-D renderings, we are able to provide a visual representation of the project. 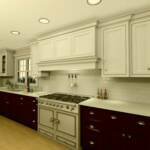 Updated frequently, we are able to show the most current appliance models from Viking, Wolf, GE, Bosch and more. 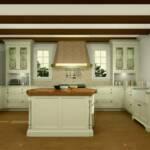 The latest plumbing fixtures can be seen from PricePfister, Kohler and other popular brands. 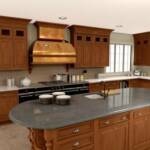 We can show the most popular colors in granite and corian. 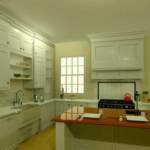 Undercabinet lighting, lighted glass cabinets, fixtures and can lighting can be added, moved and adjusted until the client is completely satisfied with all elements of the layout. 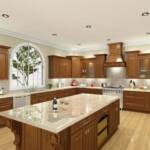 Our software does not limit us to pre-set sizes or cabinets. 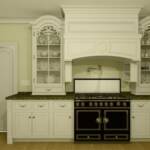 We can build cabinets to 1/128" in the shop, so it is important to be able to do the same in our design program. 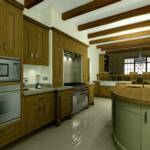 We can design any size or shape. We can design our own corbels and carvings. 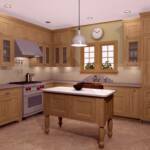 We can change door styles, cabinet construction, frame widths, overlays, etc. We come to you. We bring our software to your location and enter all of your measurements into our computer. 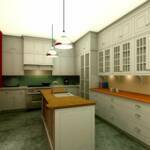 Whether you are hiring an interior designer, a custom builder or handling the project yourself, we will provide a final layout with precise measurements for your electrical and plumbing contractors. 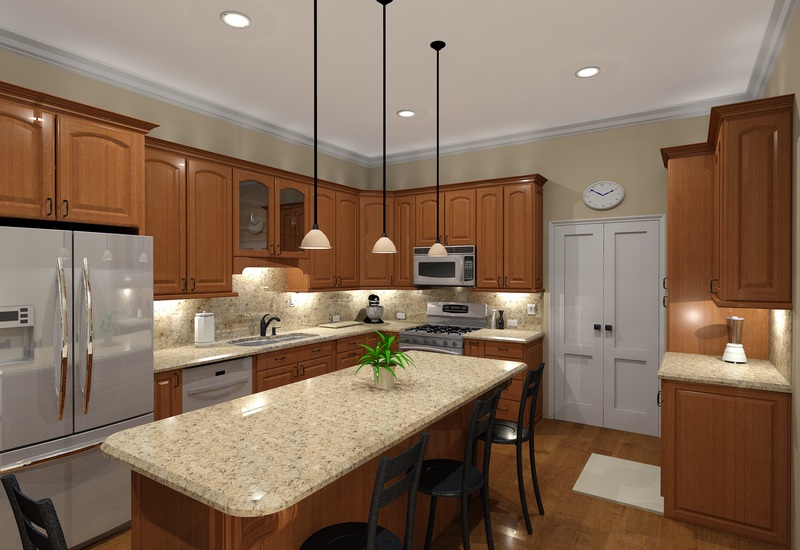 Below, the image on the left is a rendering from our kitchen design software and the image on the right is the actual photo of the finished remodel. We are a family owned and operated business located in Talkeetna, Alaska. 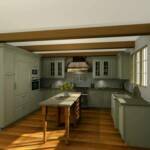 We design kitchens for clients all across America and do the majority of our remodels in Palmer, Wasilla, Eagle River, Anchorage and their surrounding areas. 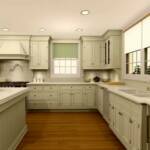 This photo gallery shows just how realistic our kitchen design software is. 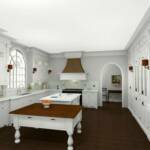 It is important to remember that these are all kitchen design renderings and not actual photos. 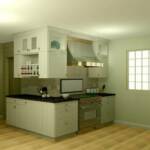 This software is so powerful that it is easy to forget that you're not looking at an actual kitchen. Click on any of the designs below to open the photo gallery for a larger view.